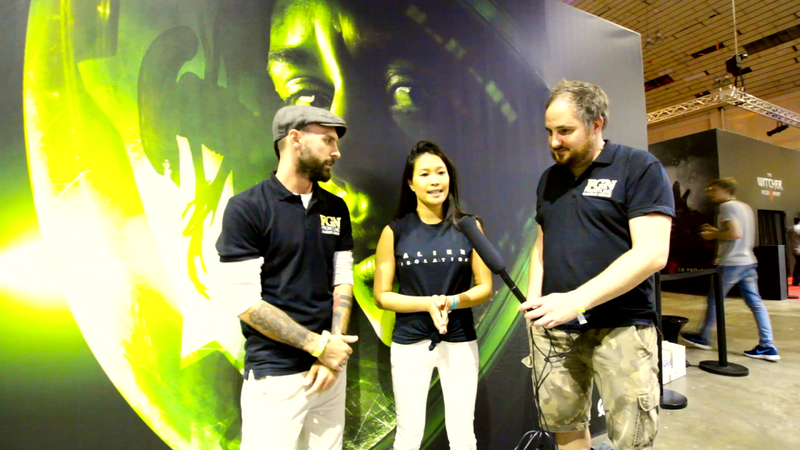 We had an absolute storm of a time at the recent and last Eurogamer to be held at London's Earls Court but what made it all the more special was the time we spent with Ngan Nguyen, the community manager of Alien Isolation. She takes 10 minutes with us to explain what we experienced during the survivor mode, the story behind Alien Isolation, the work that went in to recreating the 70’s futuristic look from the Original movie, the artificial intelligence of the monster as well as the connection between the music of Jerry Goldsmith and the Alien bringing a unique experience of suspense as you try to survive; all of this and more! Alien Isolation launched last night across the world and has been racking up positive user reviews on it's Steam Store page since the moment of its release or from users who were lucky enough to recieve exclusive early access. "Discover the true meaning of fear in Alien: Isolation, a survival horror set in an atmosphere of constant dread and mortal danger. Fifteen years after the events of Alien™, Ellen Ripley’s daughter, Amanda enters a desperate battle for survival, on a mission to unravel the truth behind her mother's disappearance." So now I am about to get my self a coffee and have the wits scared out of me!